This quilt was a gift to my sister Gayle. It's a folk art portrait of one of the two cows she painted for the Houston Cow Parade. 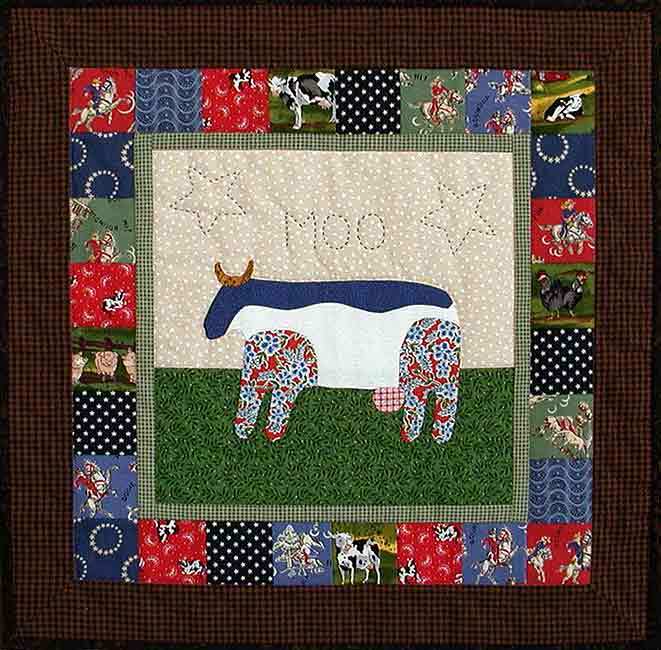 Hand appliqued, machine pieced, hand and machine quilted by Jerrianne in December 2001. The design was adapted from Primitive Shapes by Toni Phillips & Juanita Simonich.